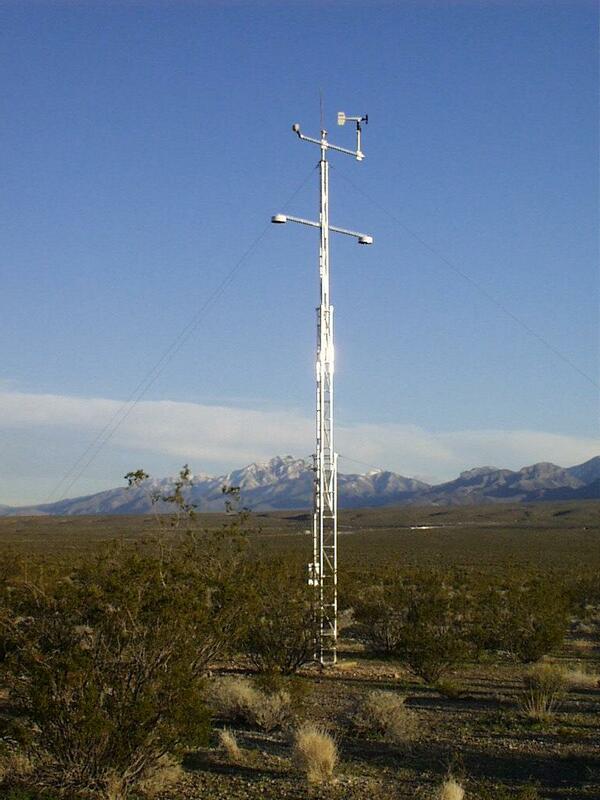 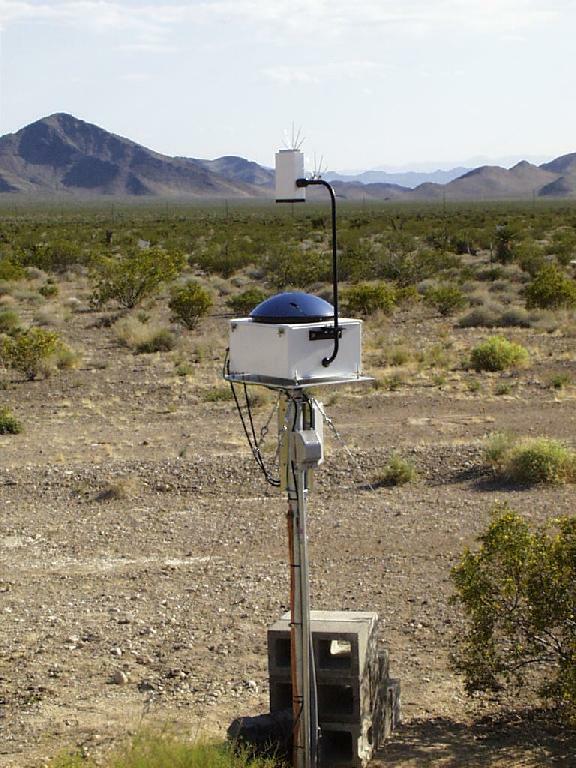 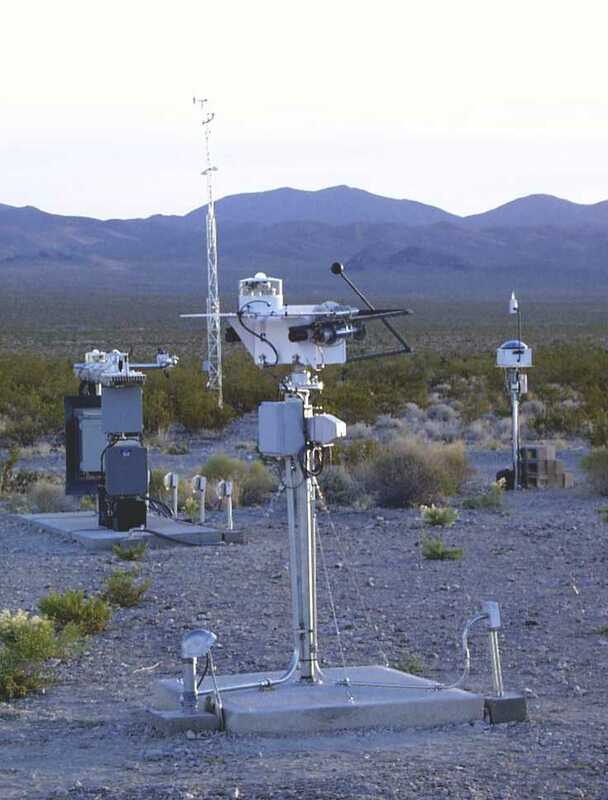 The Desert Rock SURFRAD station is collocated with the Desert Rock (DRA) operational radiosonde station on the Nevada Test Site, 65 miles northwest of Las Vegas. 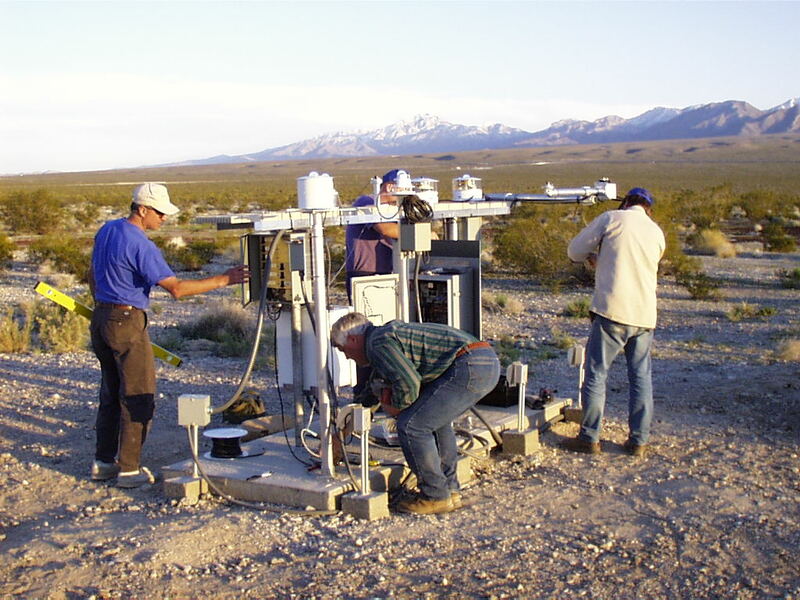 This site was formerly an SOLRAD Level-1 station, but was upgraded to full SURFRAD (SOLRAD Level-2) status in March, 1998. 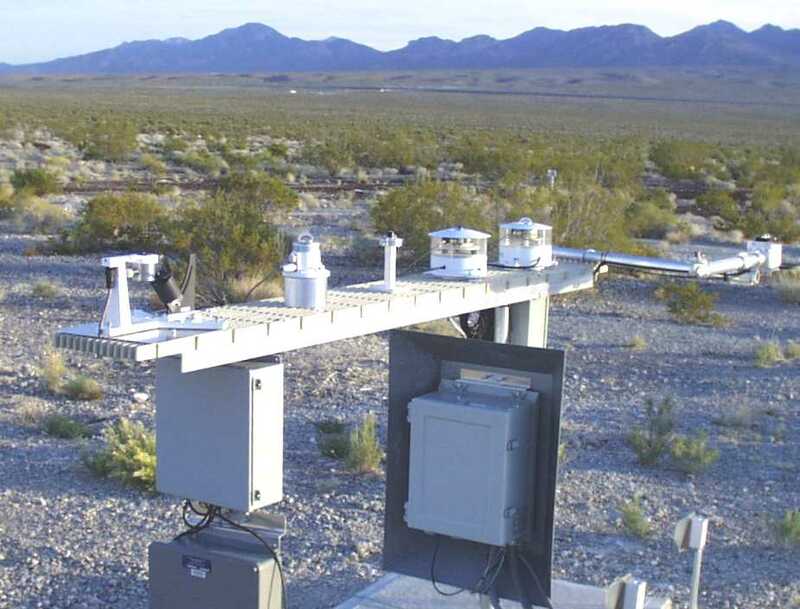 SURFRAD data from the Nevada site. 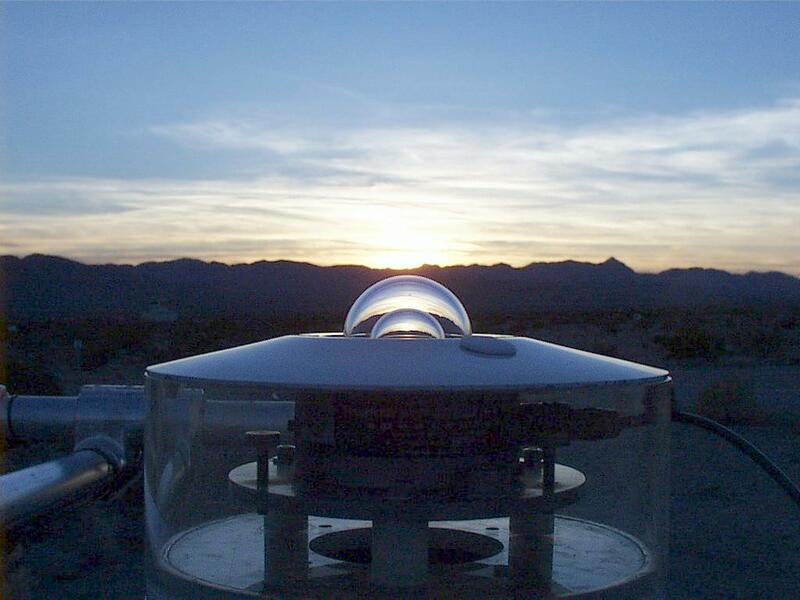 The SURFRAD station at Desert Rock, Nevada. 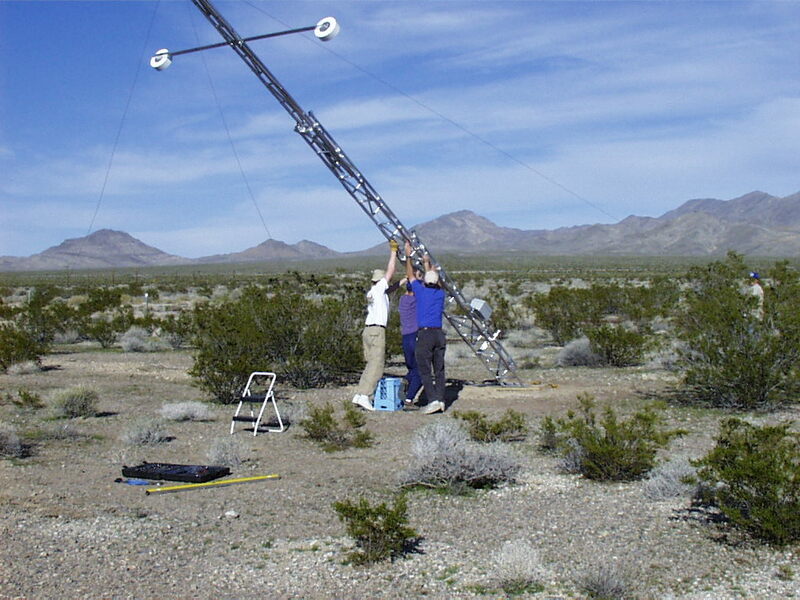 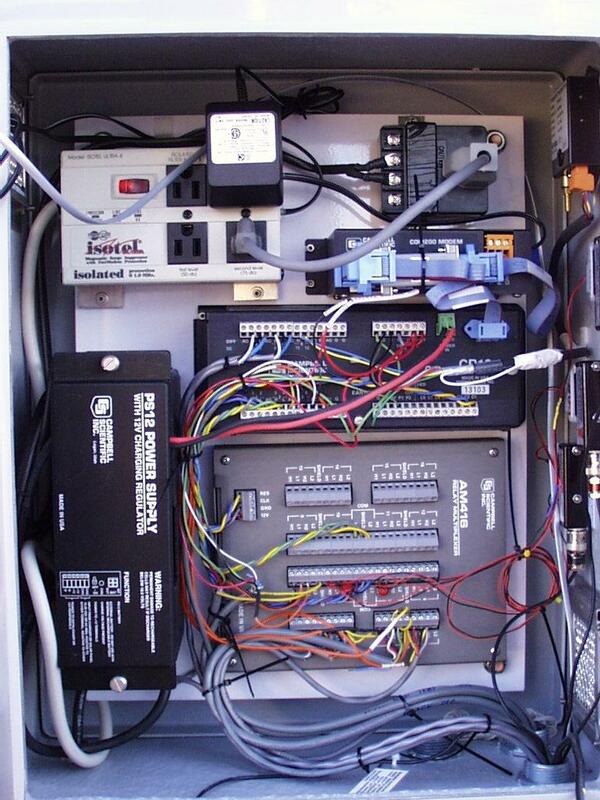 From left to right: solar tracker, radiometer platform, Total Sky Imager, and 10-meter tower. 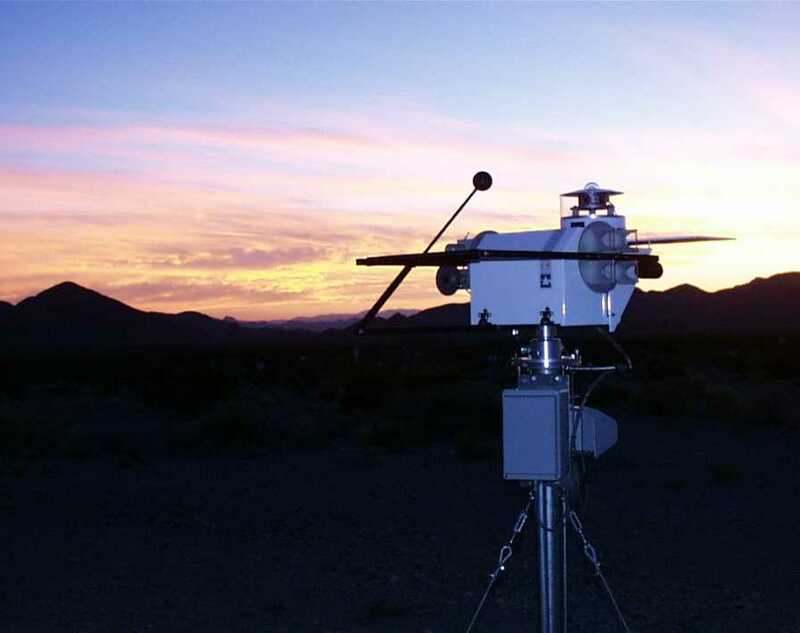 The Desert Rock solar tracker at sunset, December, 1999.